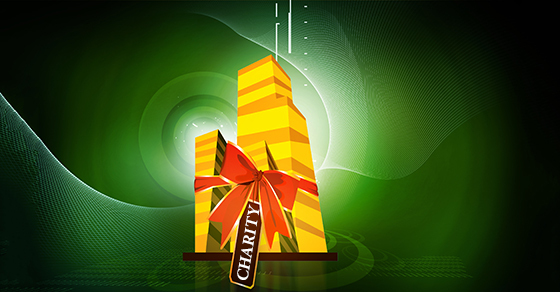 Donation to a Private Foundation – While real estate donations to a public charity generally can be deducted at the property’s fair market value, your deduction for such a donation to a private foundation is limited to the lower of fair market value or your cost basis in the property. Property Subject to a Mortgage – In this case, you may recognize taxable income for all or a portion of the loan’s value. And charities might not accept mortgaged property because it may trigger unrelated business income tax. For these reasons, it’s a good idea to pay off the mortgage before you donate the property or ask the lender to accept another property as collateral for the loan. Failure to Properly Substantiate Your Donation – This can result in loss of the deduction and overvaluation penalties. Generally, real estate donations require a qualified appraisal. You’ll also need to complete Form 8283, “Noncash Charitable Contributions,” have your appraiser sign it, and file it with your federal tax return. If the property is valued at more than $500,000, you’ll generally need to include the appraisal report as well. Sale of the Property within Three Years – The charity must report the sale to the IRS, and if the price is substantially less than the amount you claimed as a tax deduction, the IRS may challenge your deduction. To avoid this result, be sure your initial appraisal is accurate and well documented. Sale of the Property to Someone Related to You – If the charity sells the property you donated to your relative (or to someone with whom you negotiated a potential sale), the IRS may argue that the sale was prearranged and tax you on any capital gain.